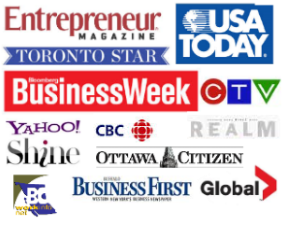 How do you feel confident enough to charge $75, $100, $150 or $300 an hour? Use strategy in setting your fees. As I mentioned in my post on setting consulting fees, you need to adopt a model for calculating your consulting rate. If you’ve done this carefully and you’ve considered your background, target market and competition, you should be able to feel confident about your rate. You’ll know you’re not gouging — you’re charging a fair market rate, based on your unique service offering. Once you’ve gone through the process, you can focus on making money, rather than questioning how much or how little you should charge. 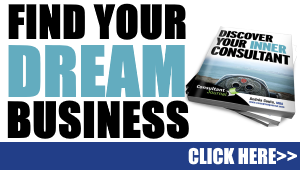 (Want even more info? 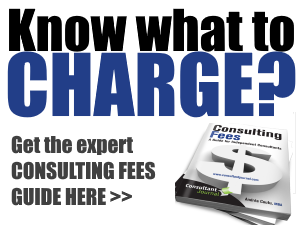 Get 60 pages on setting consulting fees in my Consulting Fees: A Guide for Independent Consultants). 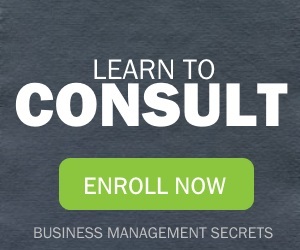 "Feeling confident about your consulting fee rate" from Become a Consultant at ConsultantJournal.com.